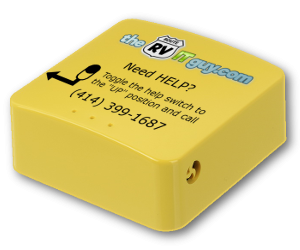 theRVITguy.com - RV tech support beacons w/ unlimited 4G internet! Technology made easy for life on the road. Unlimited internet + support that travels with you. Order a pre-configured tech support beacon. Flick the help switch whenever you need tech support. Call us - we can troubleshoot all your devices remotely! Unlimited support on your data plan. One plan that covers everything. Everywhere. No commitment required. Plans starting at $59/mo plus one-time setup fee. All of our IT pros are here in the United States. We do not outsource our customer service overseas. Flip a switch to connect to our support grid, where we can troubleshoot any issue remotely. All of our plans are month-to-month: no contracts, hidden fees, or termination penalties. Our unlimited wireless option runs on the backbone of the nation's fastest, most advanced LTE network. ● Remote locations with poor signal reception. ● Spotty / pricey WiFi at campgrounds and rest stops. ● Limited access to sports and entertainment. ● Staying in touch with friends and family. ● Finding reliable help with your technical questions. ● Protecting your photos, files & privacy. 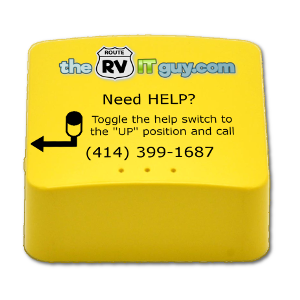 World-class RV tech support comes in two flavors. * Unlimited high-speed 4G LTE mobile internet is subject to de-prioritization for heavy bandwidth consumers (currently estimated at 50GB per month) during times and in areas of network congestion. † LTE data while roaming in Canada/Mexico capped at 5GB per billing cycle.